Big Brother 12 Live Feed Early Bird Special – 3 Months for Price of 2! We recently got all excited about the news that RealNetworks’ SuperPass would once again be offering a Big Brother 12 Live Feed Early Bird Special coming soon. Now we can finally share some of the details of the special with all of you Big Brother 12 fanatics out there! 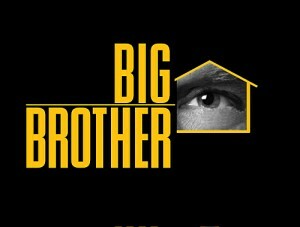 Pre-season Big Brother Live Feed Early Bird Special (Available June 18th to July 7th): $29.99 for the full season – 3 months for the cost of 2! 24/7 Big Brother 12 Live Video: The Big Brother 12 Live Feed through RealNetworks’ Superpass is the ultimate Big Brother fan experience. As a subscriber, you’ll see all the catfights, backstabbing, late-night hook-ups and more before anyone else! BB Houseguests to play with! – Janelle from Big Brother 6 and All-Stars will be joining the Big Brother 12 SuperPass team as will Chelsia from Big Brother 9. They’ll be on board to get down with live feed subscribers in video chats and more. We wouldn’t be surprised to find out more BB celebrities might find their way to the live feed as well! Flashback! – Our most beloved feature of the Big Brother Live Feeds. Rewind the live feed back to catch anything you missed or watch your favorite moments over and over! Web-based viewing – You will now be able to watch the Big Brother 12 Live Feed either with the RealPlayer video player or directly on the RealNetworks SuperPass website. Special Live Events: Exclusive live chats, video call in shows and more will be available only for Big Brother 12 Live Feed subscribers. Free Music Downloads – Big Brother 12 Live Feed subscribers will receive $10 a month in free mp3 music downloads on SuperPass. So if you are a big music downloader, the free mp3 downloads makes signing up for the live feed virtually pay for itself! Check back here for more details on the Big Brother 12 Live Feed as they become available and don’t forget to come back on June 18 for that early bird special. Of course, you can also just go ahead and sign up now if you just can’t wait! Let the houseguest speculation begin! Shantrice Wilkerson is a 25 year-old female from Hollywood, California. Great, you say? Well it’s not that big of a deal until Shantrice create a major Reality TV faux pas by revealing on her Twitter Page that she has received a phone call about Big Brother 12. While going through the process of being on a reality show, you’re not really suppose to tell anyone. Everything is super secretive, hush hush, on the d-low, got it? So what would make Shantrice think it was a good idea to let all of her 91 followers know she’s in the running for BB12? What makes this story even more interesting is what DogDave (site NSFW) has uncovered. On Shantrice’s Facebook profile under her “Employers” section she lists the Dolce Group has her employer. Now why is that so interesting? Because if you remember BB2 and BB All Stars winner Mike “Boogie” Malin has stakes in the Dolce Group. He is an investor and helps run several of the Dolce restaurants including Geisha House in Hollywood. So if Shantrice thought she might be on Big Brother 12, she might want to rethink that. The chances of her getting on after this slip up are slim to none. UPDATED: Look like she’s catching on to what’s going on. She’s just deleted the tweet in question (above) and has also protected her tweets (and removed us from following her!) so something is definitely askew. Executive Producer Alison Grodner took a phone interview with Big Brother fansite TVGrapevine.com today and revealed very little about the upcoming season of the show. Why you ask? The newly crowned cast of Big Brother 12 are still on the loose in the world. They haven’t been sequestered as of yet so Alison can’t give away any info in fear that the new houseguests would find out. The only part of the interview that had some sort of tid-bit was that the theme of the house this year will be along the “Beach” theme because this is a summer show and they want to keep that theme going. We saw the beach theme a little bit last year with the Pool room. But Beach could mean anything.. South Beach, Miami Beach, Pensecola Beach (hmmm..). So take the interview with a grain of salt. You won’t see anything happening until at least the week of June 21st. House photos first, houseguests photos after, twists confirmed. The interview is available after the jump.